Hillary Clinton’s Wall Street Speeches Have Leaked. No Wonder She Didn’t Want Them to Get Out. Throughout the Democratic presidential primary, Sen. Bernie Sanders challenged Hillary Clinton to release excerpts of the paid, private speeches she delivered to Wall Street audiences following her time as secretary of state. She refused—which occasionally made things pretty awkward, since her resistance suggested the remarks could contain something explosive. BuzzFeed reporter Ruby Cramer dug up the email, and Clinton’s team declined to confirm to her whether the passages are authentic, adding that the Obama administration has “removed any reasonable doubt that the Kremlin has weaponized WikiLeaks to meddle in our election and benefit Donald Trump’s candidacy.” Assuming the excerpts are the real deal, however, it seems fairly obvious why Clinton would not want them to see the light of day in the primary—when she was trying to prove her progressive bona fides and was fighting the perception that she’d be soft on banks—or even the general election. In the excerpts, Clinton presents herself as a finance-friendly moderate who is willing to criticize the industry but who also believes it took an excessive amount of heat for the financial crisis. She also suggests politicians need to hide their true policy positions from the public—not great for a candidate voters already tend to distrust—and that her long-term “dream is a hemispheric common market, with open trade and open borders,” which Donald Trump is sure to pounce on. Breitbart is already screaming about the open borders bit. The choicest excerpts fall neatly into three categories: Stuff that would have played badly in the primaries; stuff that plays badly against Trump; and stuff where Hillary comes off looking reasonably well. You can read the emails in their entirety at BuzzFeed. I’d argue Clinton is probably right here. But the phrase, “you need both a public and a private position” isn’t going to soothe anyone’s doubts about her trustworthiness. Clinton also comes off fairly amenable to the financial services industry—which isn’t surprising, given banks were paying her good money to come and chat. 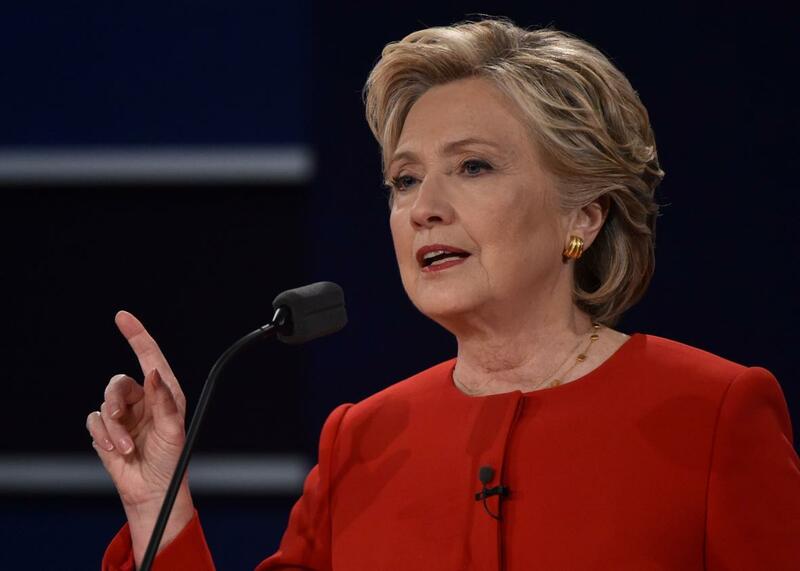 Take this passage, which Carrk flagged under the heading, “CLINTON TALKS ABOUT HOLDING WALL STREET ACCOUNTABLE ONLY FOR POLITICAL REASONS,” from a 2013 speech at a Goldman Sachs event, in which she appears to suggest American banks were criticized more than they deserved following the financial crisis. Clinton isn’t outright saying she would populate the Treasury Department with Goldman and J.P. Morgan alums (though in a separate excerpt, she does suggest politicians have made it too hard for people who have been successful in business to serve in government). But she clearly is saying she’s open to their input on how their companies should be regulated. When I was a Senator from New York, I represented and worked with so many talented principled people who made their living in finance. But even thought I represented them and did all I could to make sure they continued to prosper, I called for closing the carried interest loophole and addressing skyrocketing CEO pay. I also was calling in ‘06, ‘07 for doing something about the mortgage crisis, because I saw every day from Wall Street literally to main streets across New York how a well-functioning financial system is essential. So when I raised early warnings about early warnings about subprime mortgages and called for regulating derivatives and over complex financial products, I didn’t get some big arguments, because people sort of said, no, that makes sense. But boy, have we had fights about it ever since. The big idea here is that Clinton takes a balanced approach to regulation, making sure the industry could thrive while calling out its dangerous excesses. It’s a reasonable position, though there’s still plenty to argue with on the merits; one might say Wall Street’s profits should be curbed regardless of whether it’s presently endangering the entire world economy. But how long do you think it would have taken the line, “I represented them and did all I could to make sure they continued to prosper” to meme its way around Facebook and Twitter? Is the Hillary Clinton of 2016 still secretly a debt hawk who thinks Wall Street needs generous input on the laws governing it? Who knows. But up against an anti-bank crusader like Sanders, who wanted to radically expand the social welfare state, these remarks would have left her with a lot of explaining to do. Then there’s the bit on globalization. Trump and surrogates like Rudy Giuliani have said Clinton is in favor of open borders, full stop. Clinton has said this is false. But in a 2013 appearance at Banco Itau, she apparently said, “My dream is a hemispheric common market, with open trade and open borders, some time in the future with energy that is as green and sustainable as we can get it, powering growth and opportunity for every person in the hemisphere.” This may thrill the editors at Vox, but presumably not white working-class voters in Ohio. Point Trump. Secondly, running for office in our country takes a lot of money, and candidates have to go out and raise it. New York is probably the leading site for contributions for fundraising for candidates on both sides of the aisle, and it’s also our economic center. And there are a lot of people here who should ask some tough questions before handing over campaign contributions to people who were really playing chicken with our whole economy. The key part here is “playing chicken with our whole economy.” This event took place in 2013, so it’s pretty clear she was referring to the Republican Party’s repeated showdowns over the debt ceiling. So the transcripts, if they’re authentic, aren’t all bad. It’s conceivable that had Clinton released them of her own accord earlier in the campaign, the progressive heresies eventually would have blown over, and she’d have avoided raising people’s suspicions about her secrecy. But would they have been a headache for the campaign? Obviously. And now that they’re out, I’m guessing they’ll cause trouble all the way until Election Day. *Correction, Oct. 7, 2016: This article incorrectly identified Tony Carrk as Tony Clark.